What is your shower regime ? So basically for me, I will be using my shampoo, hair conditioner, and body shower gel. If I'm not rushing I will be putting on my body lotion. I have dry skin, but I love to get hot shower which it is actually drying up my skin even worst so body lotion is must for me, if not my skin gonna look like cracking. So today I'm gonna talk about my new shower regime, which make me happier and I'm glad that I have this incredible product that not only it moisturise my skin during my shower, the best thing is that I don't have to take plenty of time to do it. 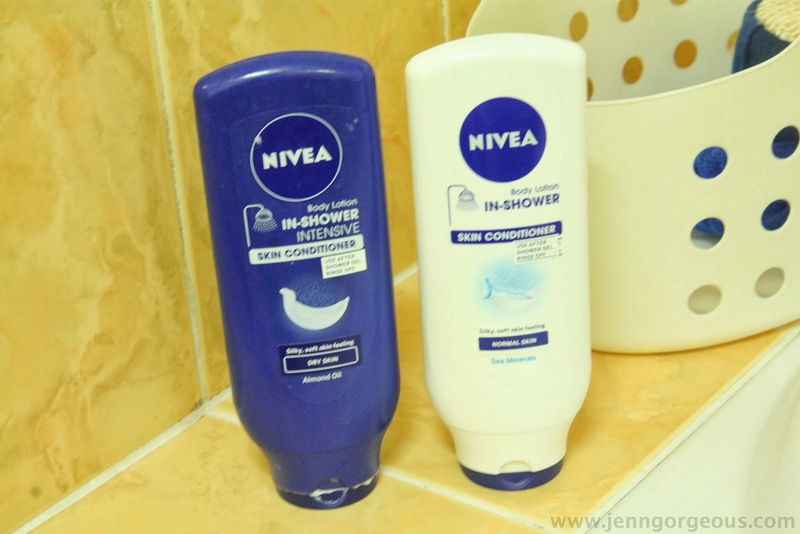 The product that I'm going to talk about today is the NIVEA BODY CONDITIONER. 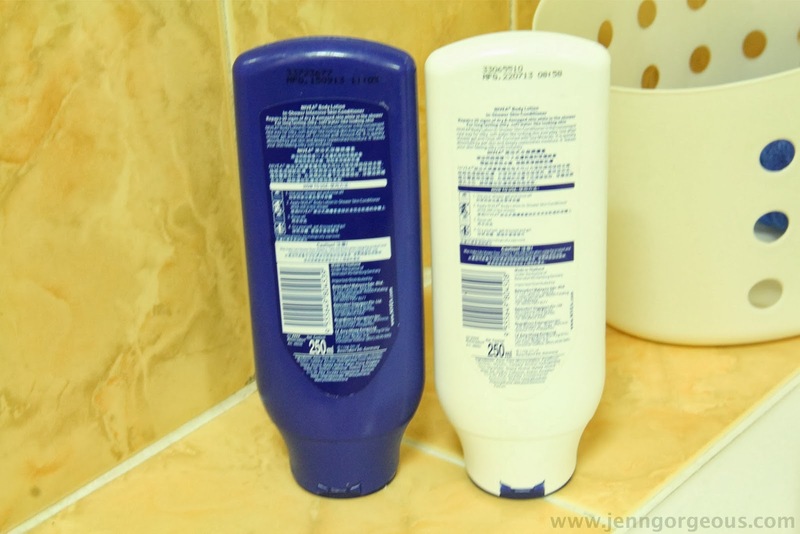 We all know about hair conditioner, but I'm not so sure that everyone knows about Skin Conditioner. Basically both conditioner give you- smoothen, moisturised and soften outcome after your shower. If you want me to compare skin conditioner with body lotion, skin conditioner is much easier to use, quick application and it really works to achieve silky and soft skin feeling. A research in Europe has found that two in five people (43%) either occasionally or never use a body lotion because they don’t have the time or just dislike the sticky feeling*. Similarly in Malaysia, 70% of women do not apply body lotion daily**. Most people only use body lotion once in a while because they don’t have the time to sit around and wait for their lotion to dry off. For some, it is not pleasant to have that sticky residue following moisturizing especially in the hot weather. 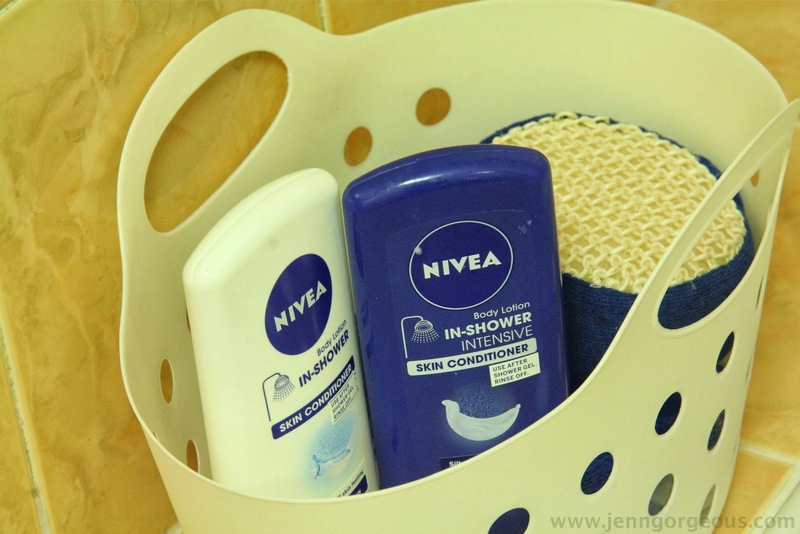 How to use: Use your shower gel and rinse off, then apply nivea lotion in shower skin conditioner while still in the shower, then rinse off, lastly dry yourself and get dressed and go! Where to get : major pharmacies and supermarkets nationwide. - comparing to old school body lotion, this is much faster process, you don't need to work on it to let your skin absorb, you just apply then rinse off, you got your silky feeling skin. - The product packaging would be better if it design to pump out, a lot easier to take the product out. For the sake of silky soft skin, maybe before you read my blogpost you have no other choice to use body lotion, and you have to go through that greasy sticky feeling. But now, I'm introducing you to a life changing product where not only it can moisturised your skin achieving silky soft skin but it also save a lot your precious time. It is absolutely suitable for busy mom, busy worker for man and woman, and of course for lazy people. 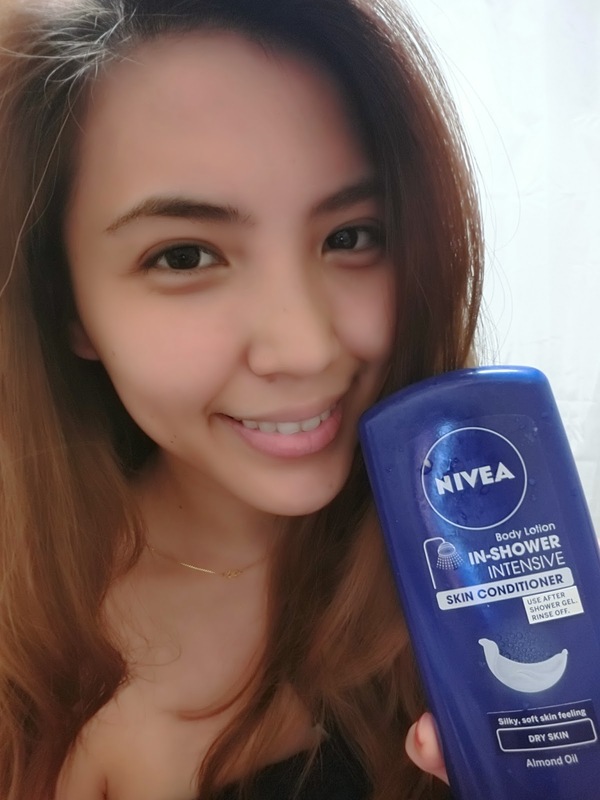 Watch this for the experiment on using NIVEA SKIN CONDITIONER.